Photo of: East Coast of Ireland: Meath: Newgrange. 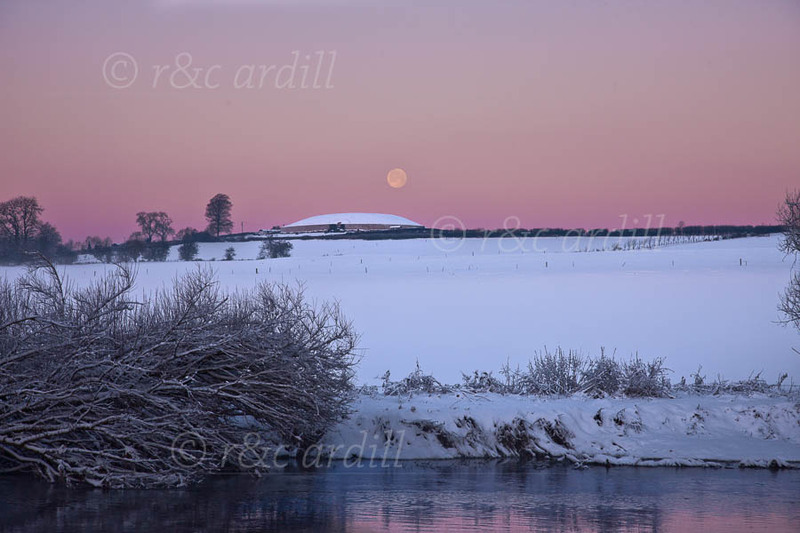 A snow-covered dawn over the Newgrange megalithic burial chamber on the day after Winter Solstice. The Hunter's Moon is just dipping down over the tumulus, giving the sky a lovely purple hue. This is reflected in the Boyne river in the foreground.